The era of automation and artificial intelligence (AI) is upon us. And it’s impacting every segment of society and every career field, from journalism to food service, the transportation industry to medical fields. 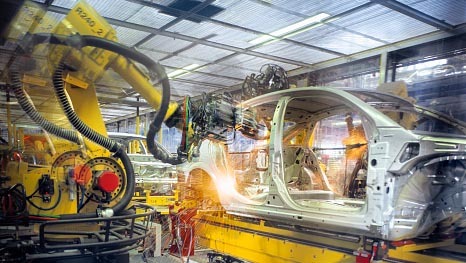 Autonomous vehicles, or self-driving cars, are one of the most widely publicized and closely watched developments in automation. Google, Uber, and most of the major car manufacturers are developing self-driving cars. Making headlines last October, an autonomous truck traveled 120 miles across a Colorado highway from Ft. Collins to Colorado Springs. A human was behind the wheel to drive the truck on city streets, but the trip was a huge step in the advancement of self-driving technology. And the technology is accelerating rapidly. Artificial intelligence may seem like the stuff of science fiction, but it’s already part of our everyday lives. Like when we ask Siri to find movie times or for the weather forecast. Or when Amazon suggests a product based on your purchase history. AI is gaining notice as computer programmers and coders use it to correctly predict the Kentucky Derby trifecta winners and develop algorithms that defeat the top poker players. Less publicized, but certainly more important, Stanford University recently developed an AI algorithm that diagnoses skin cancers just as effectively as human dermatologists. Opening the door for remote medical diagnostics, paving the way for cheaper and more accessible health care. Along with the amazing advancements in technology, there has come a great deal of hand-wringing by those who fear that automation will take millions of jobs from hard-working people. Doom and gloom attitudes regarding advancements in technology are hardly new. In 1900, nearly 40% of the workforce was employed in agriculture. However, early 20th century advancements in technology and automation drastically changed the workforce balance. Today, a mere 2% of the workforce puts food on the table for our ever growing population. It’s important to note that the migration of jobs away from agriculture didn’t happen overnight. There was a gradual shift in which farm workers transitioned to new fields of endeavor. The same holds true for our budding era of automation. History shows that as technology advances, people adapt, and career trends shift to align with the technology of the day. And businesses must be ready. Prepare by watching the trends and knowing how they impact your industry. As the new technology emerges, you’ll have time to research and determine the best ways to take advantage of the prospects it brings. But you mustn’t wait too long. Opportunity favors those with vision, who acknowledge change and take action. Astonishing developments in technology are taking place every day. It is up to you to seize the opportunities that the era of automation presents. We must all adjust our way of thinking and our way of working. How are AI and automation affecting your industry? Let us know in the comments section below.